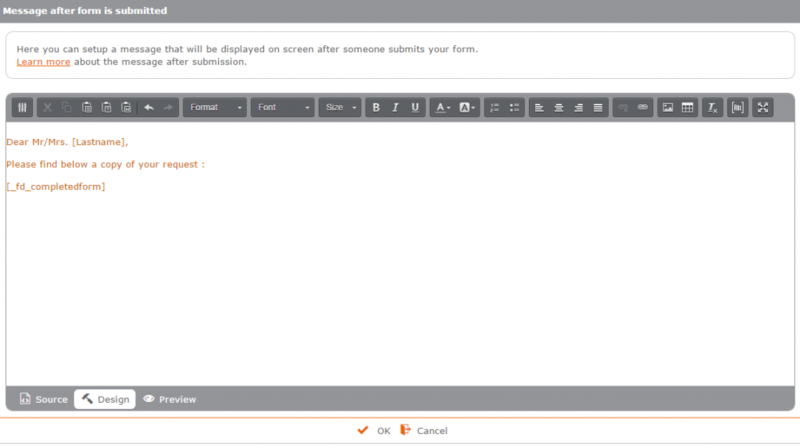 After the user completes and submits the form, you can display a custom message on the screen. In this message you could, for example, thank the user, confirm the submission, notify the user of an automated reply message that has been sent to them or give further instructions. You are also able to display certain data that the user filled out. 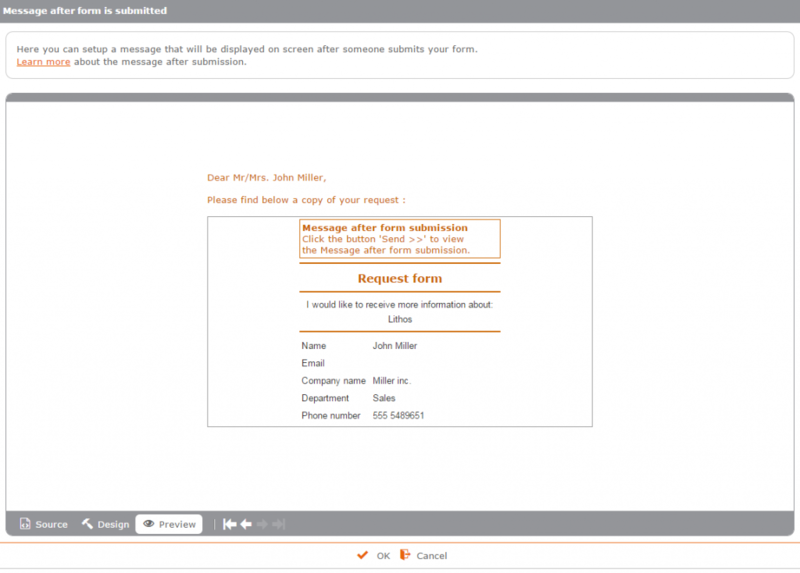 If you would like to find out what the available options are, please use our demonstration form.